It’s rare for a footballer so young to have played for such a wide array of clubs. Seen as a prodigious talent at QPR, Josh Parker was tipped for lofty heights but the pressure of the coaches, supporters and media took its toll. He was farmed out on loan to local, lower league sides in the hope of securing first-team football and returning to Loftus Road with a point to prove. But ultimately the moves failed and his days at QPR were numbered. He left three years ago with a mere five matches under his belt. Then he would sign for Oldham Athletic following a successful trial but once more failed to make an impact on the management team. He was loaned out. Just one season in, Parker was released along with eight other players. Winter was fast approaching and he was in desperate need of a club; in came Oxford United, on non-contract terms. The move didn’t work out, Parker was marginalized and it was all too familiar for a youngster who went from extreme expectation at QPR to a reserve in the lower echelons of the English football pyramid. Maybe the game in England just wasn’t for him? This was a classic case, perhaps, of a young, promising footballer presented with too much hype and the effects were inevitable. There are plenty of examples of these types of players crumbling under the pressure put on them from early on. And sometimes a fresh change, a different perspective, can do the world of good. And that’s exactly what Parker thought. The midfielder’s summer move to Slovenian club Domžale has served to rejuvenate him. A declining career has been turned on its head, with Parker playing on a regular basis and already down as a firm hit with the fans. 11 matches in all competitions, seven goals. He appears to be thriving in a team that regularly challenge at the top. The pace and style of the football in Slovenia plays into Parker’s hands. In England, it is go go go. Breaks are scarce and it is full on. But with Domžale he can afford to spend more time on the ball, muster up more opportunities on goal and he has proved a revelation since signing. Last week, he scored twice and bagged an assist in a 4-0 drubbing of Krka Novo Mesto and spoke to the press after the game about his performance and the target for this season to the club’s official YouTube page. But it could have been very different. He was contemplating leaving just weeks into his arrival as there was friction between Parker and the manager, Mojsilovic Stevan . They didn’t get on. However, Stevan was given the boot and in came Luka Elsner, who understands Parker’s needs and the pair have formed an effective bond. It’s not just on the on the pitch where Parker has had some adjusting to do. He’s had to embrace a fresh culture and new way of living with his wife, Francesca, and son, Cairo. Naturally, doubts must have been creeping in over how he would settle but Parker’s fitted in seamlessly, claiming how nice the food is and that almost everybody speaks English. That’s a good job seeing as Slovenian is ‘one of the hardest languages’ – he only knows a few, brief words – according to the man himself. So life is good. And whilst he shines for his club, this will only enhance his international chances with Antigua & Barbuda. Born in England, Parker is eligible to don the yellow and black stripes through his parents. It was a former QPR teammate and current national team member, Mikele Leigertwood, that persuaded him to join the setup. In November 2010, Parker was given a call-up for the Caribbean Cup qualifiers and did enough to play a full 90 minutes against Suriname on his debut. If it wasn’t for the persistence of Leigertwood then Parker most likely wouldn’t have contacted the Antigua Football Association himself, leaving his international prospects very bleak indeed. Incredibly quick, busy on the ball and gripping to watch – Parker has transformed into a far more judicious player in his relatively short time in Slovenia. Elsner knows his ability and ensures the attacking midfielder is at the heart of Domžale’s attacking play. The club operate sixth spot in the PrvaLiga with 13 games gone, only seven adrift of table toppers Maribor. The season still has plenty to offer. 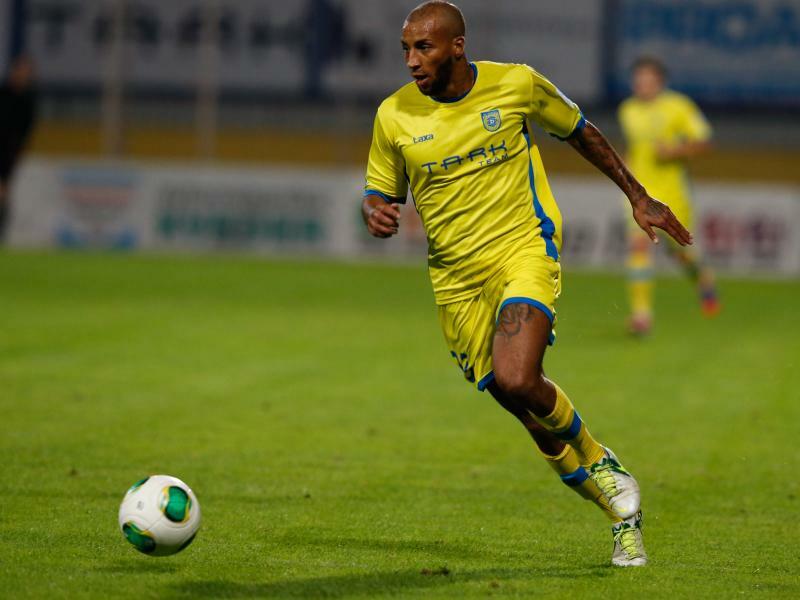 So does Josh Parker; an Antiguan lighting up Slovenian football. Hi Josh. Thanks for your message, certainly. I’ll tweak it now. Out of interest, how did you find the article? No problem. Always stride to be as thorough and fair as possible – please do share. Keep in touch. Very interesting article, I’ve only recently started following Slovenian football and as you’d imagine, English-language coverage of the league is hard to come by so this was a nice little insight into a player who has so far impressed in his debut season. It’s such a tight race for the Europa spots so Josh’s fine forum could be the difference Domzale needs for another appearance in Europe. From English lower leagues to the very realistic chance of adding Europa League experience to his cv, it must be an amazing thing to take in. Best of luck and I’m glad he’s finally found a manager who understands his needs as a player. Thanks for your kind words. He is undoubtedly a talented lad, just harnessing that into something coherent and positive is main thing. Cheers for the comment!